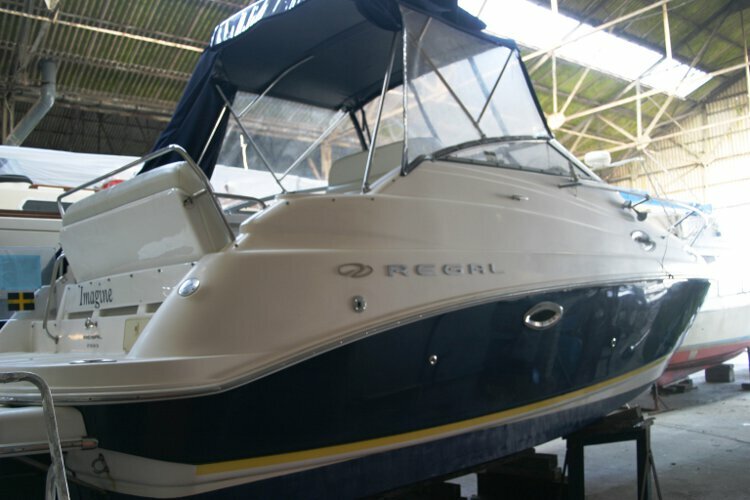 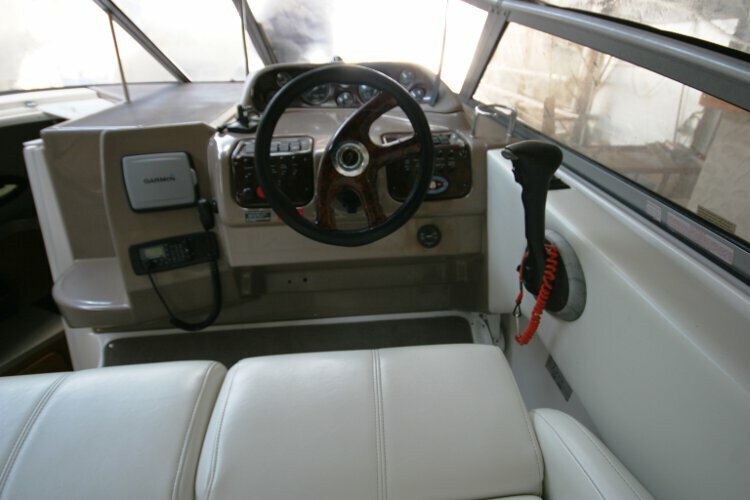 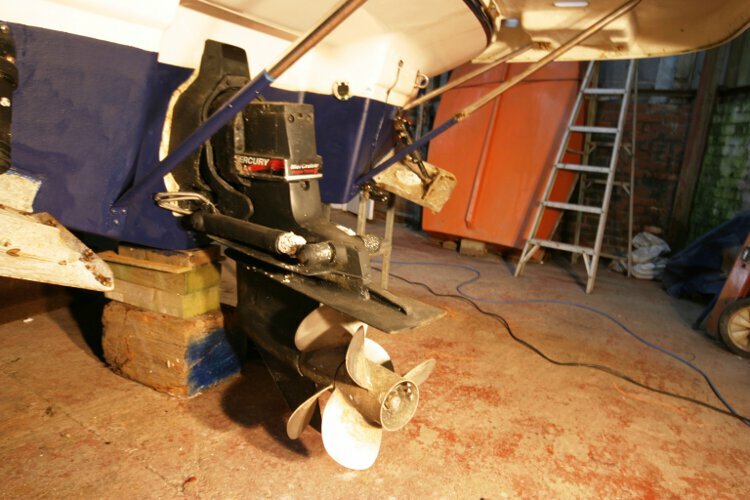 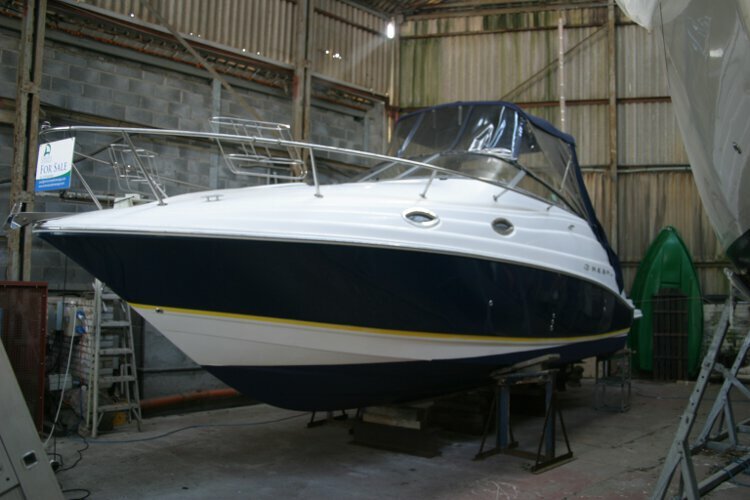 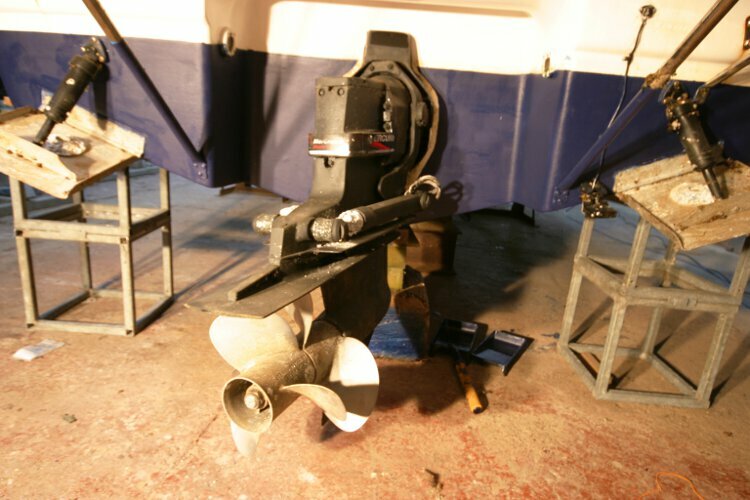 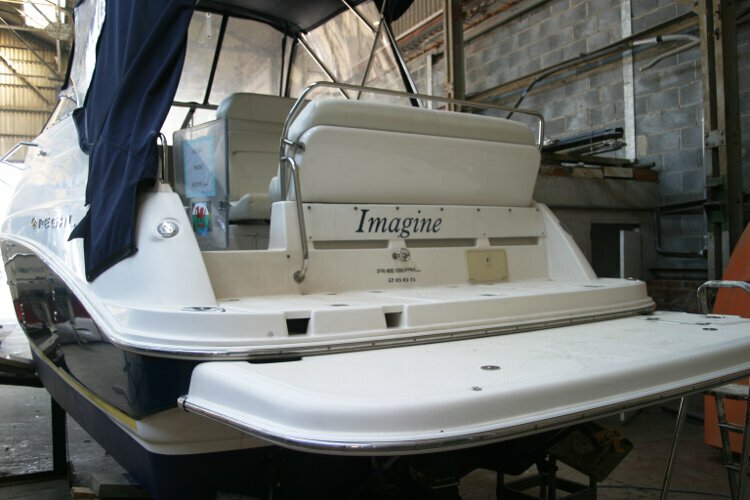 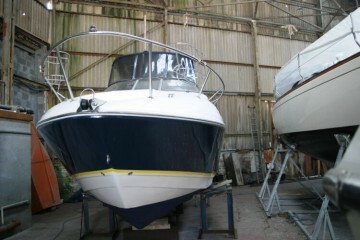 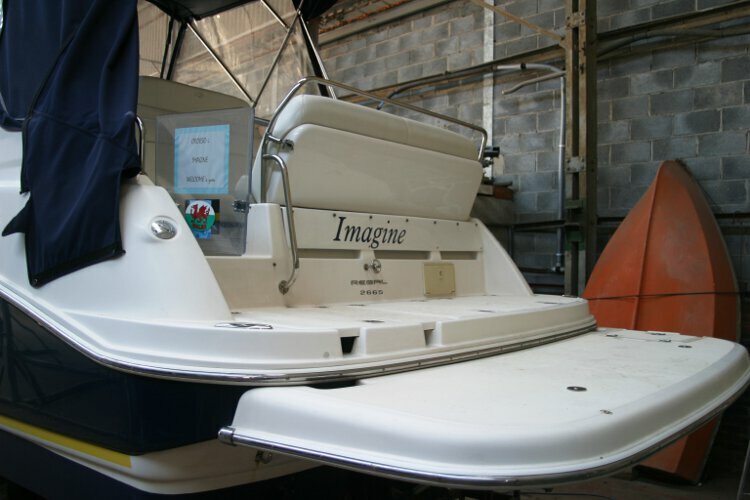 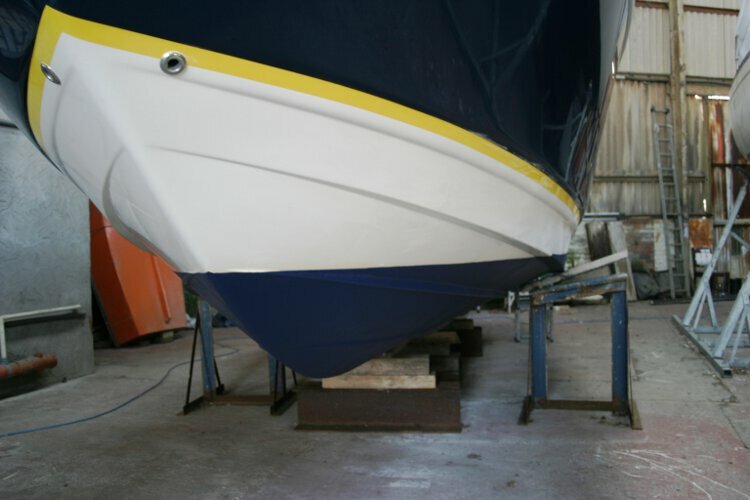 The Regal Commodore 2665 is built and finished to a very high standard, with comfortable accommodation, Luxury built in to every feature, and with a Yanmar 240 hp inboard diesel engine with Bravo 3 outdrive she is ready to go. 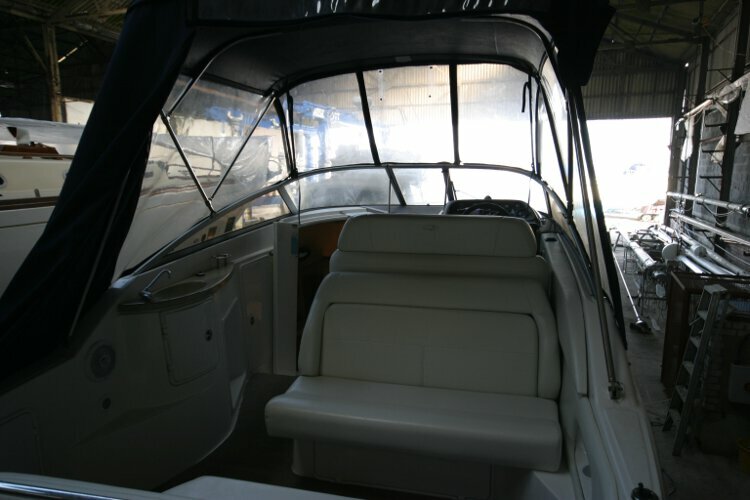 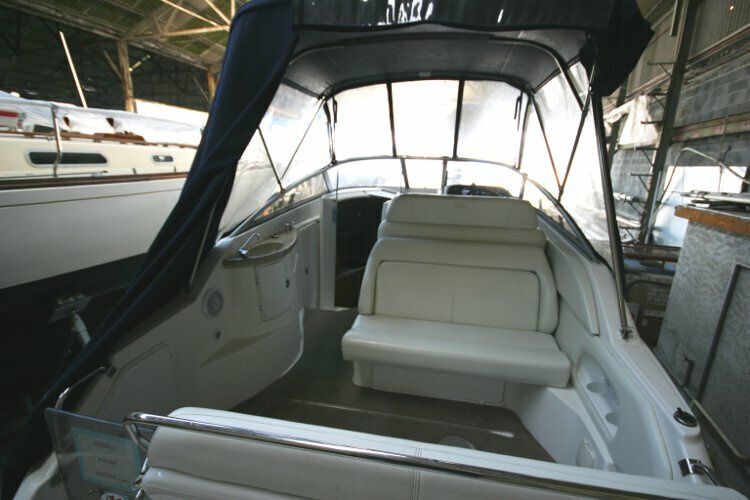 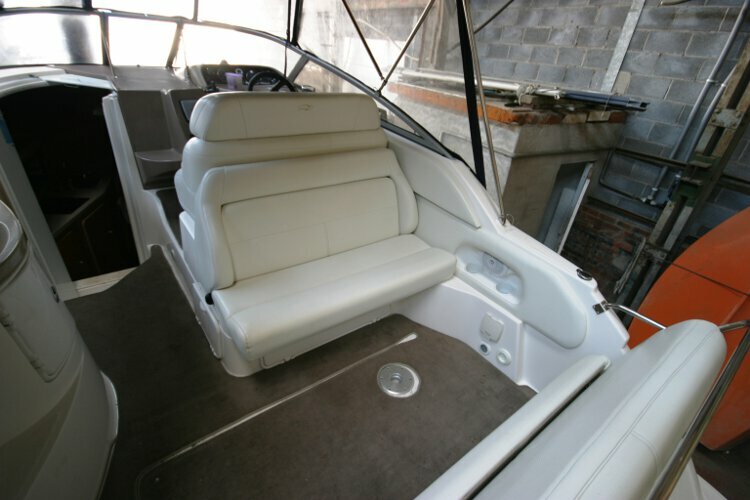 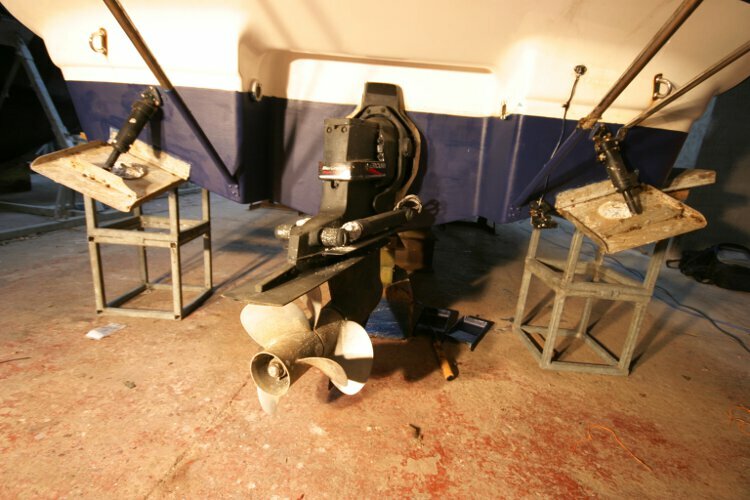 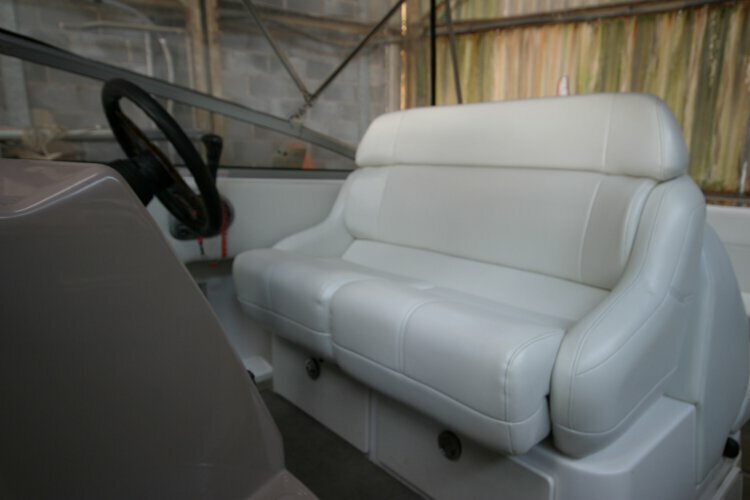 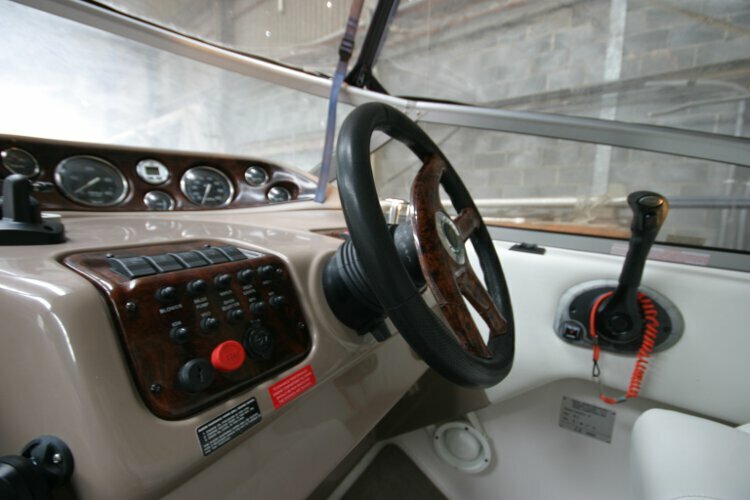 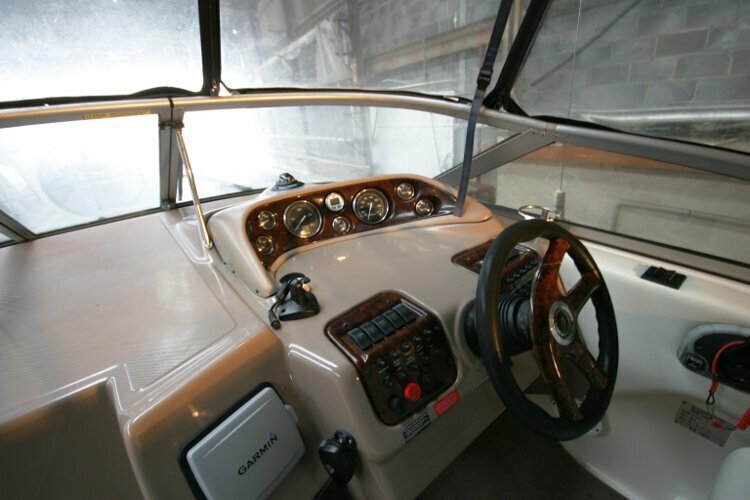 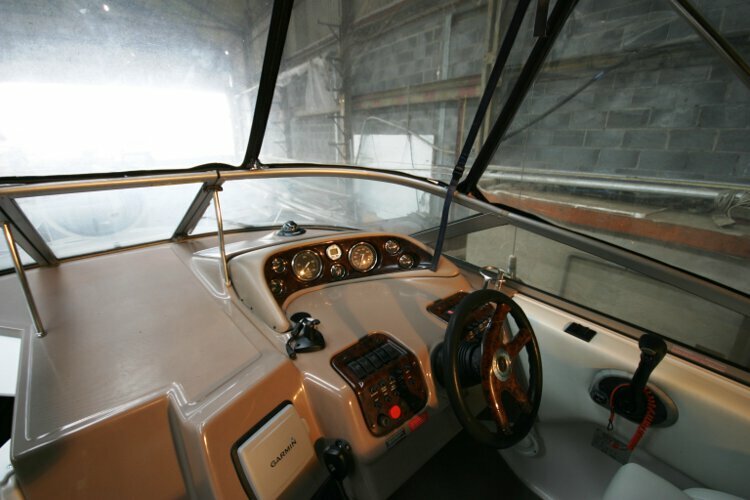 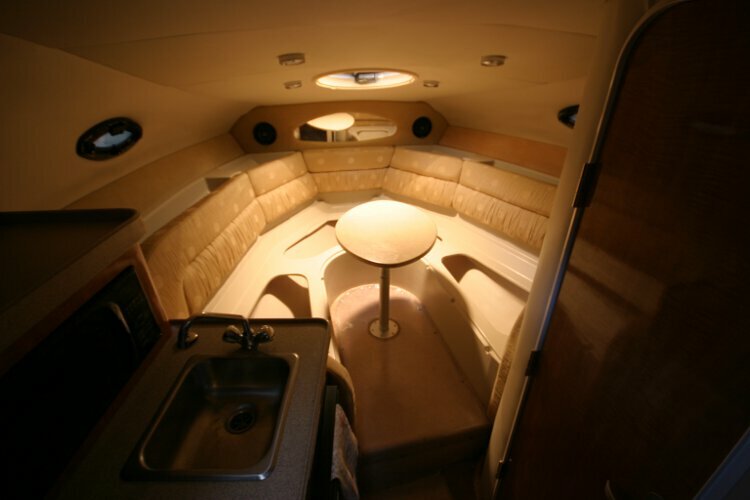 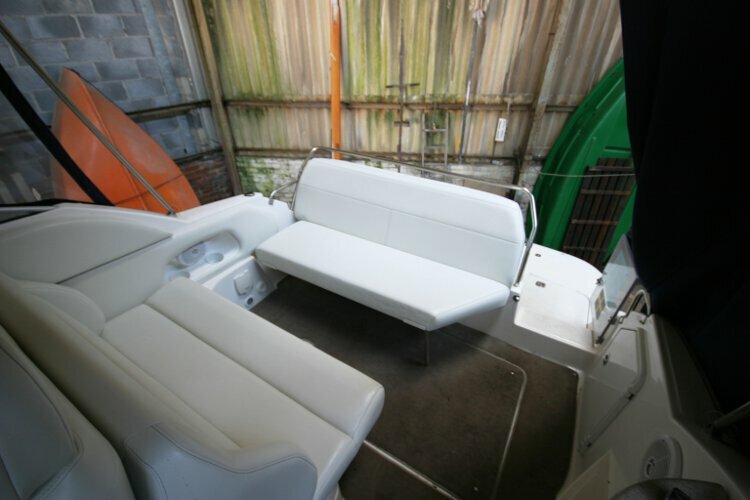 The open plan saloon offers ample wrap around seating with a table which can be taken up for use in the spacious cockpit. 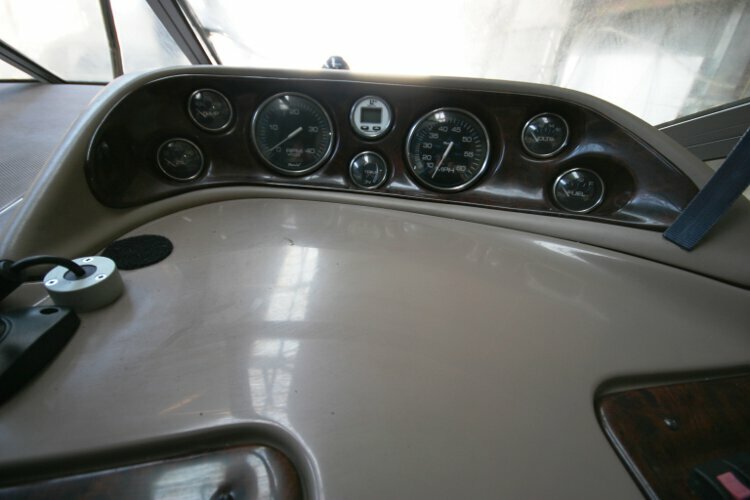 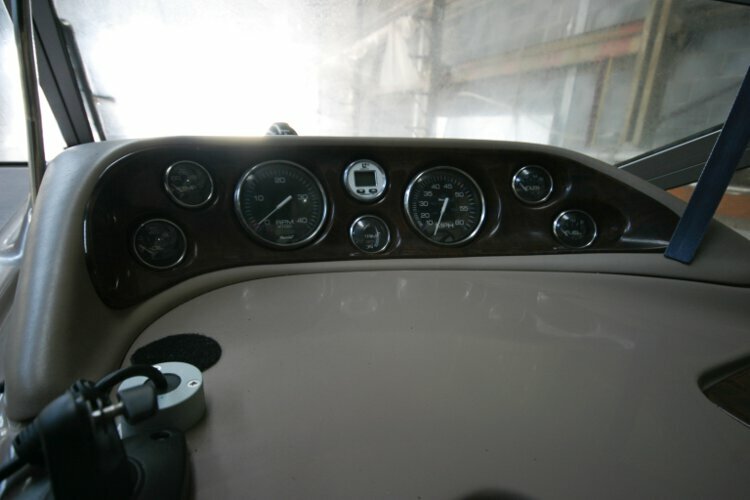 There is seating for up to six persons in the cockpit with a forward helm position. 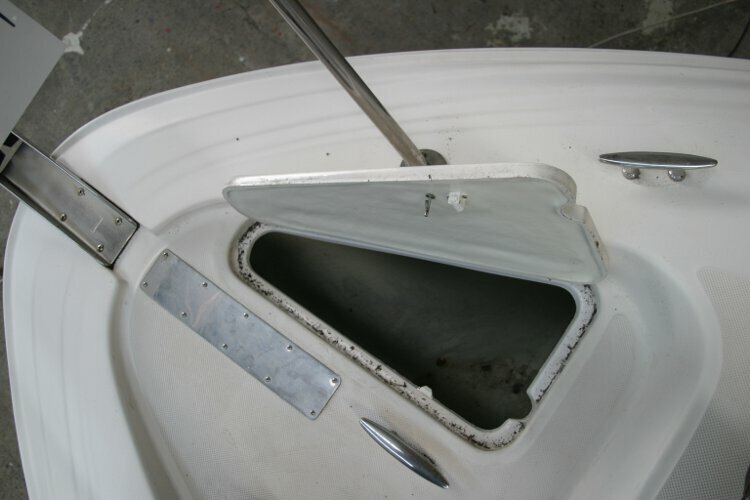 At the rear of the cockpit an access gate opens on to a large bathing platform equipped with a boarding ladder. 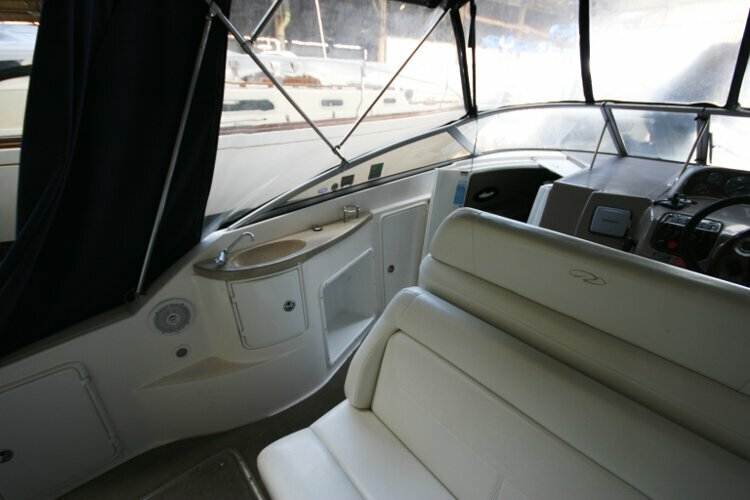 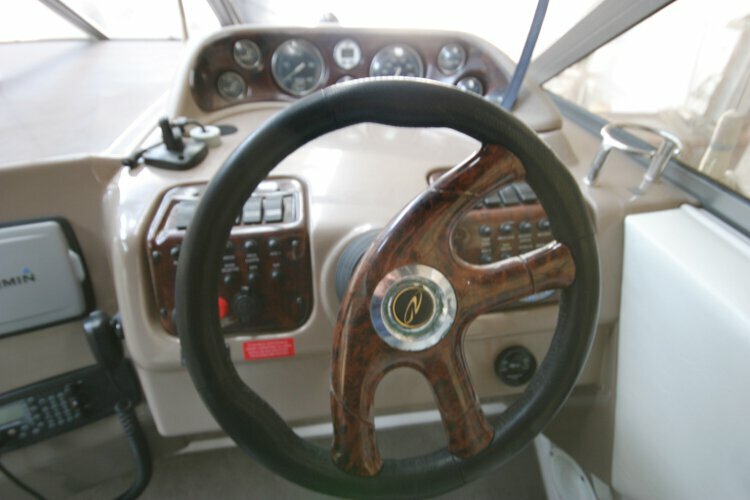 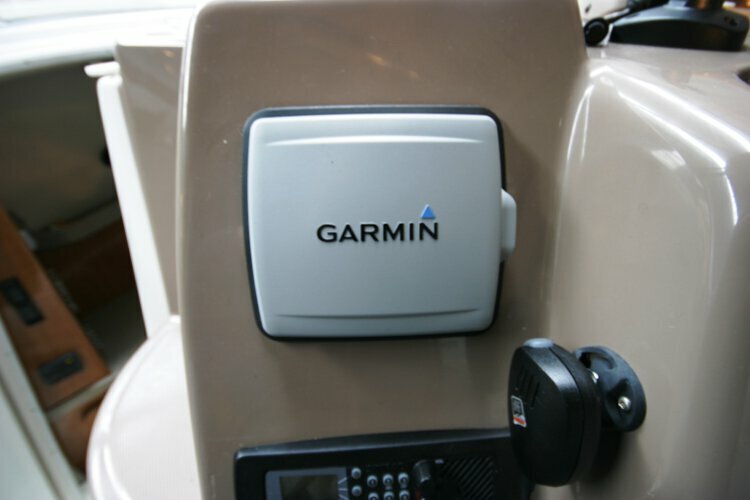 The cruising speed of 24knots is ample for daytime leisure cruising. 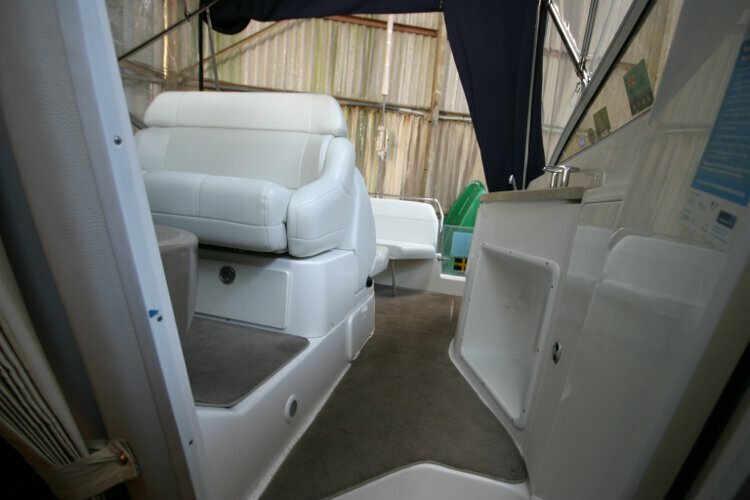 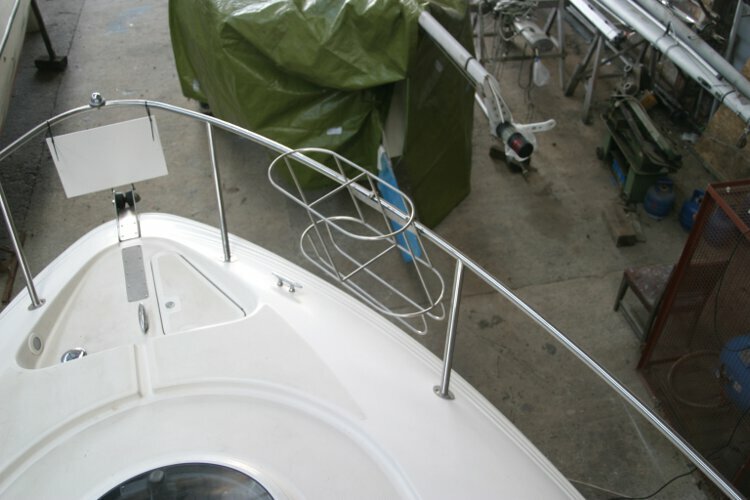 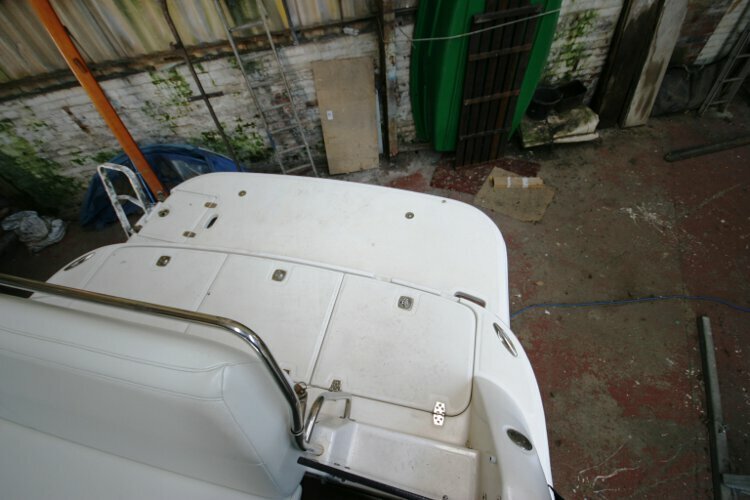 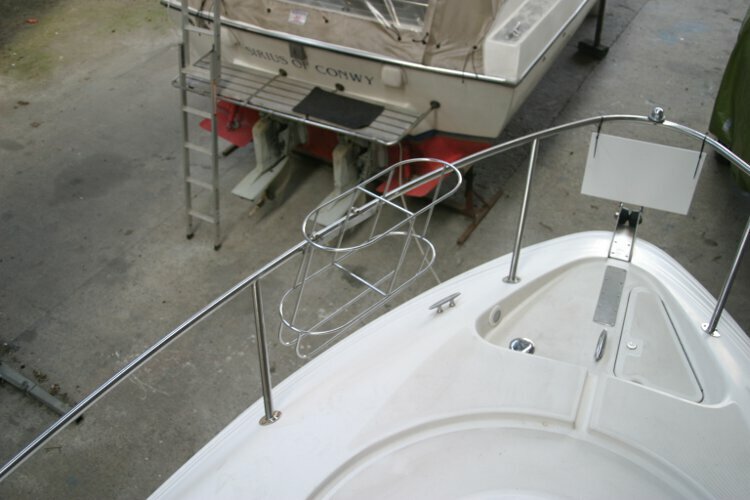 The saloon is open plan with wrap around seating and a table which can also be used on the bridge deck. 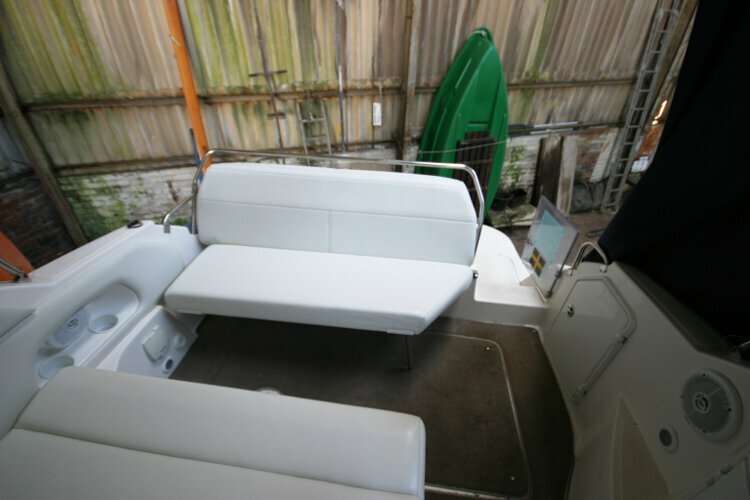 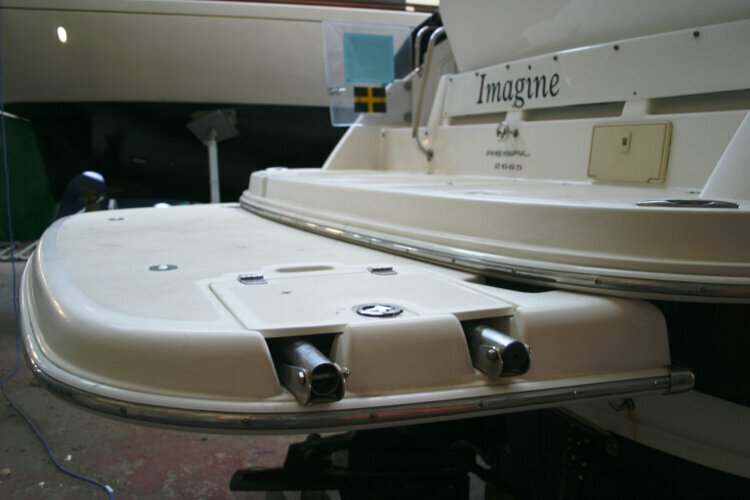 The Seating converts to a double berth. 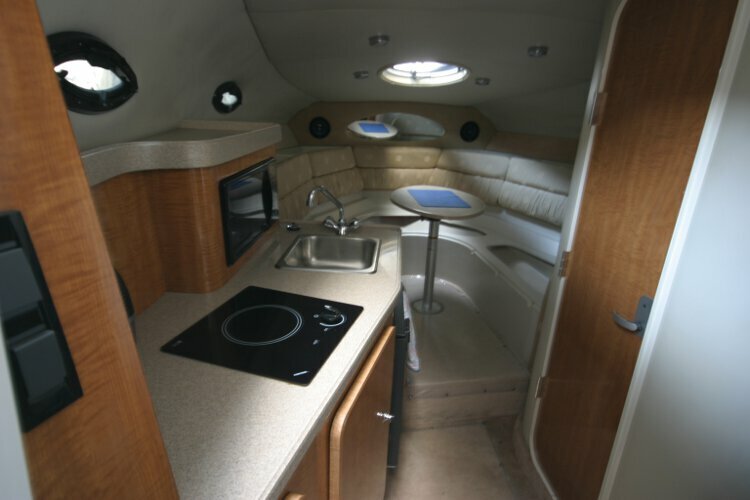 The saloon has a 22in flat screen HD TV and DVD. 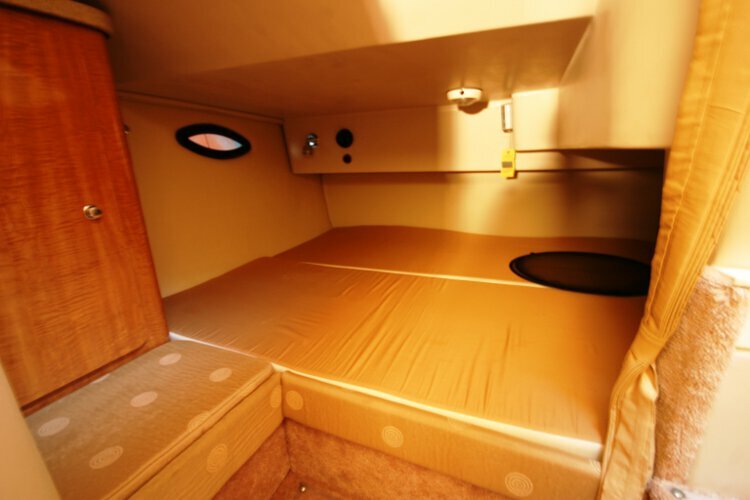 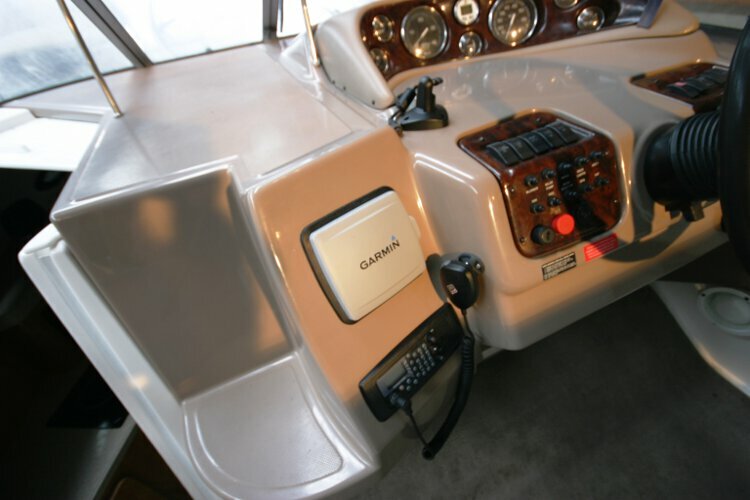 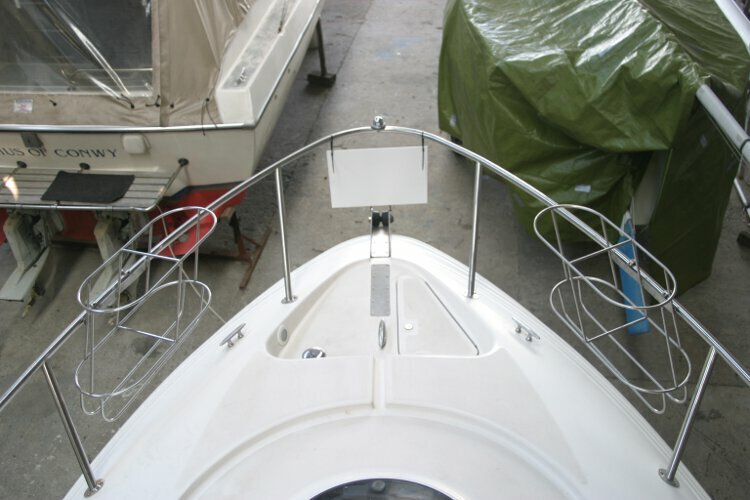 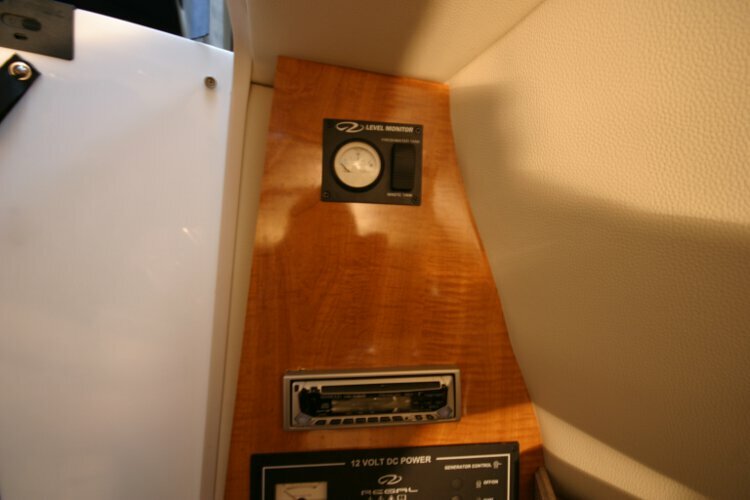 There is a large double berth in the aft cabin. 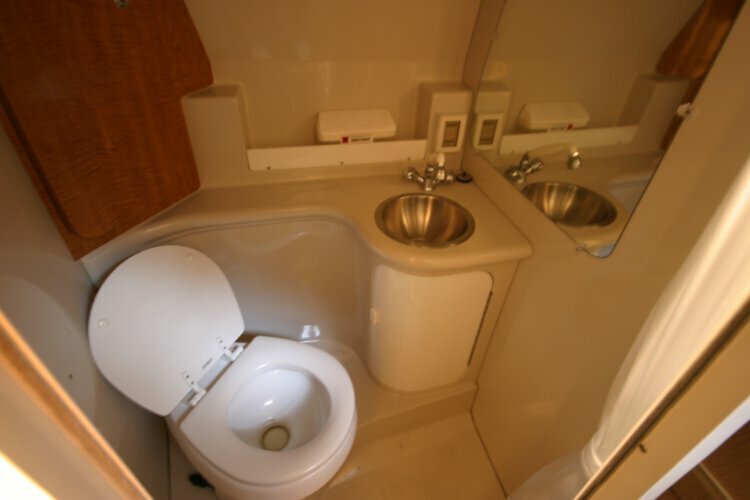 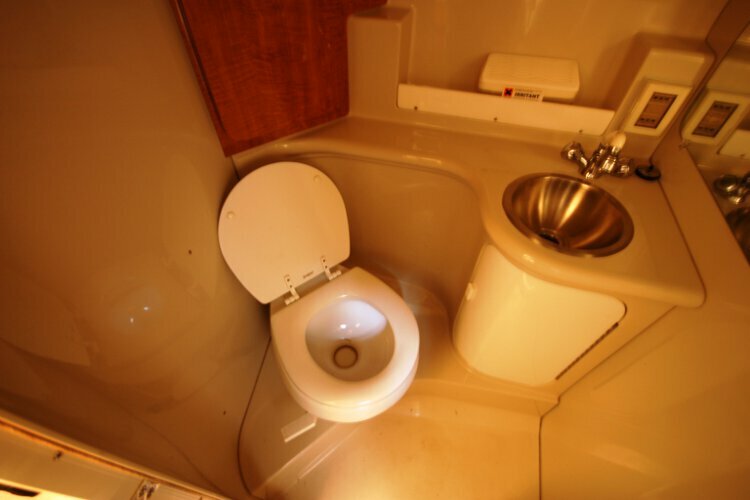 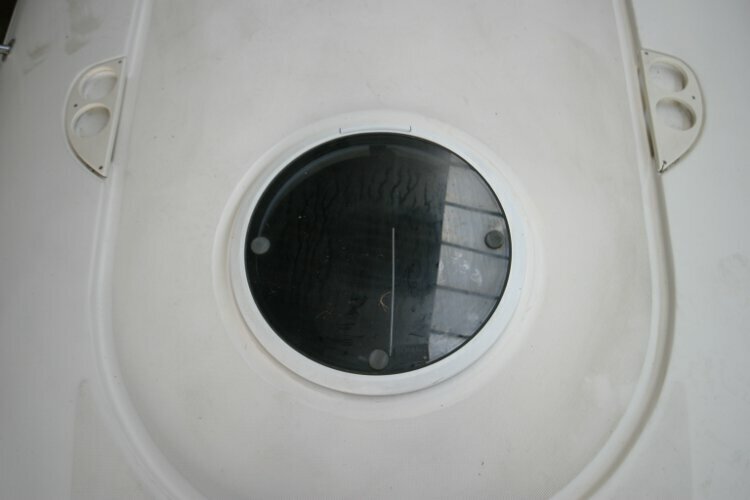 The separate Heads compartment is equipped with a marine vacu flush loo with holding tank, wash basin and shower. 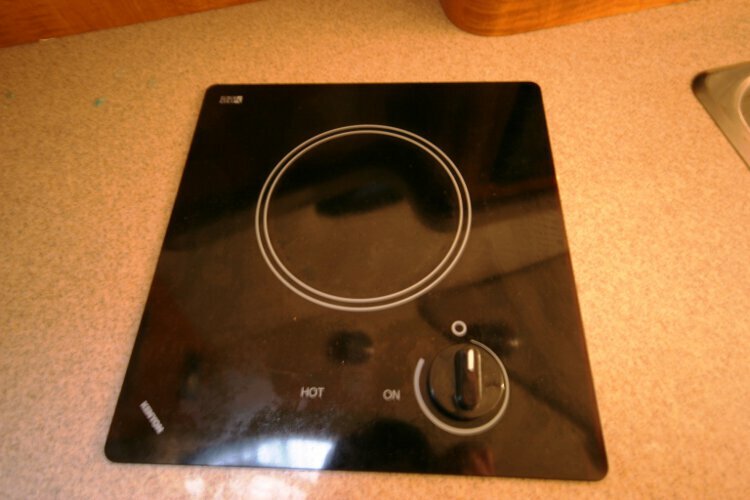 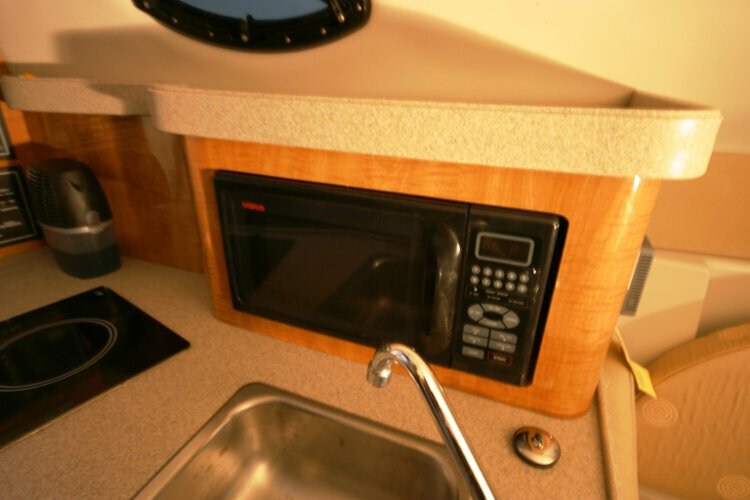 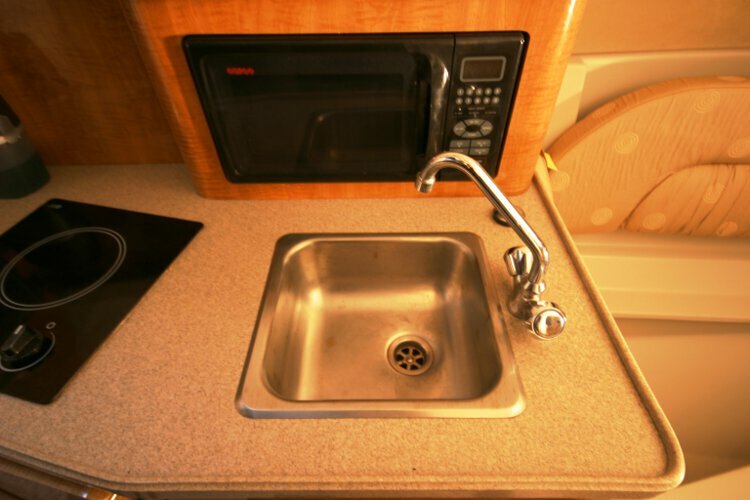 Galley with s/s steel sink, micro wave, hotplate and fridge. 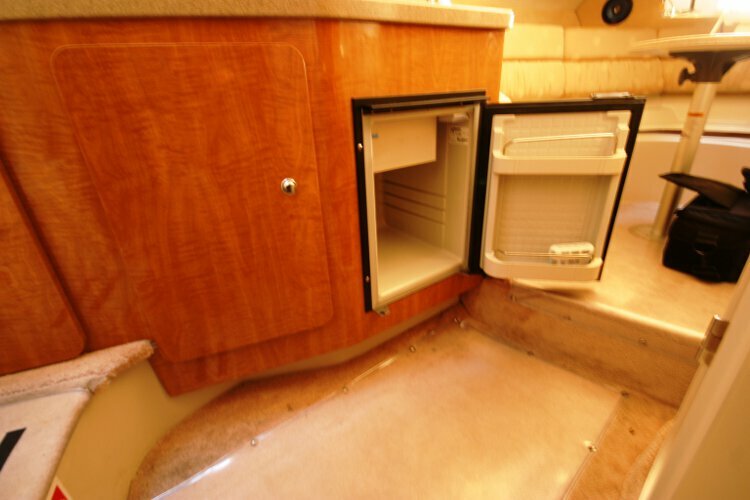 Ample storage. 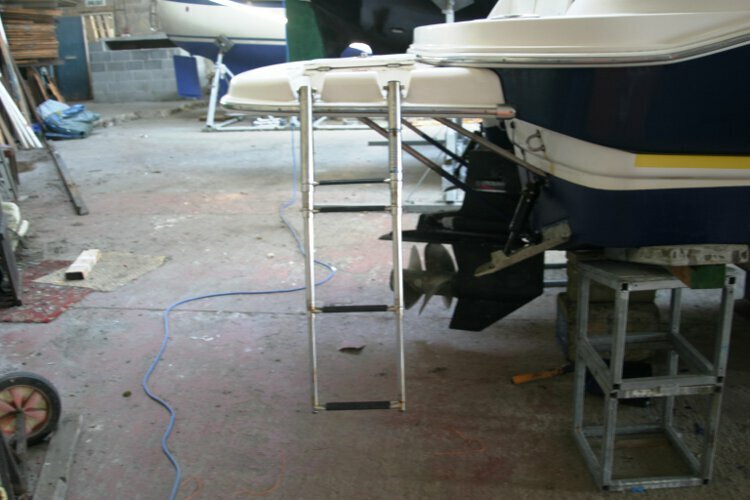 2x12v batteries shore power with sterling charger. 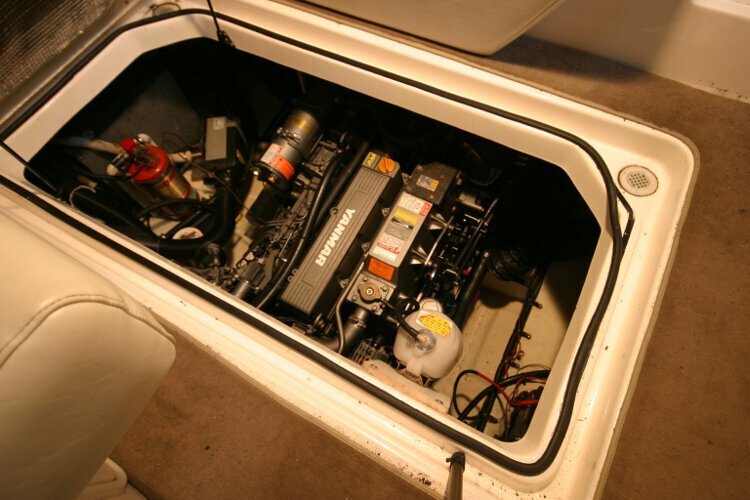 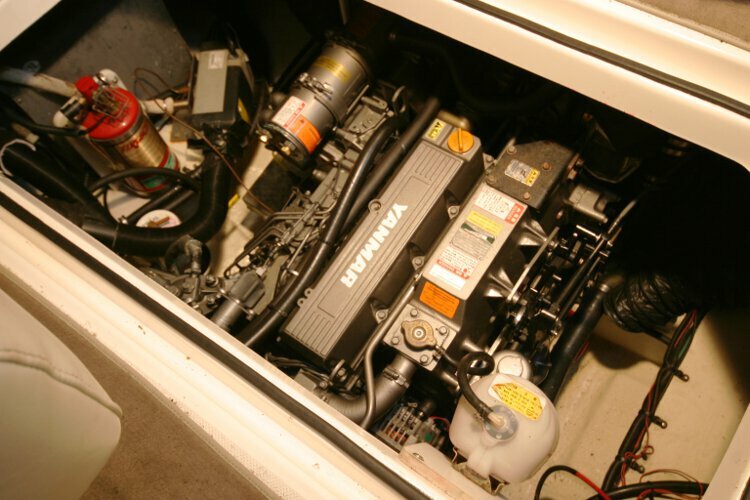 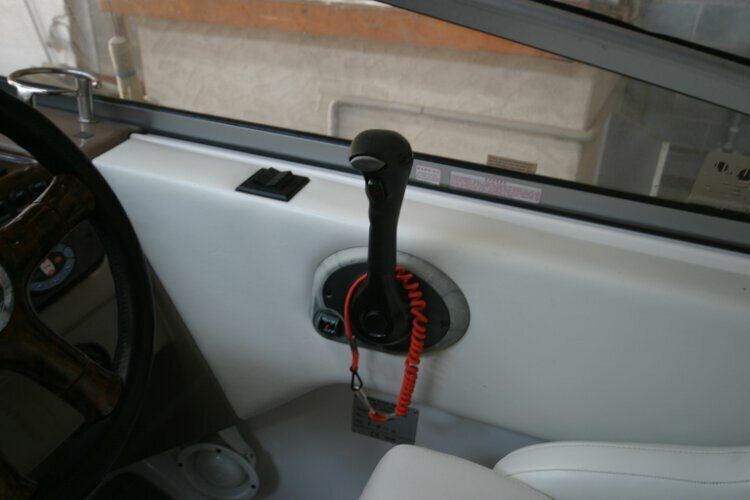 Automatic fire extinguisher fitted in the engine bay. 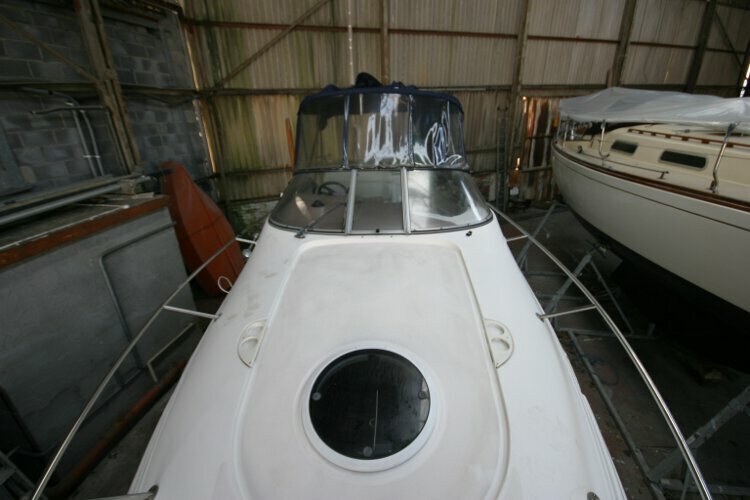 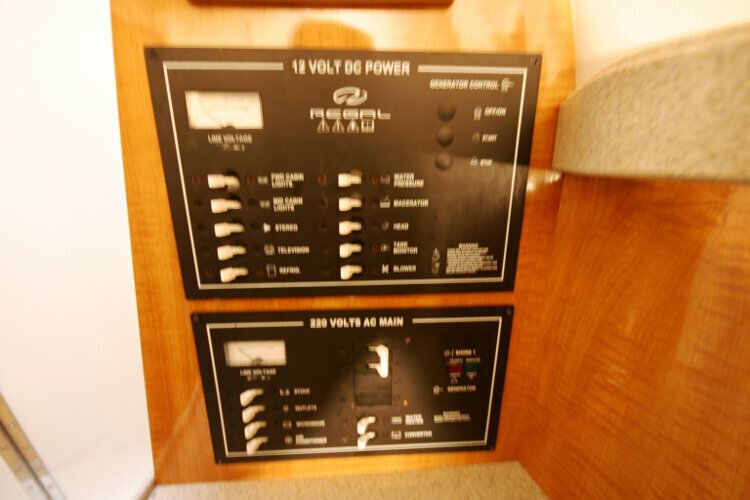 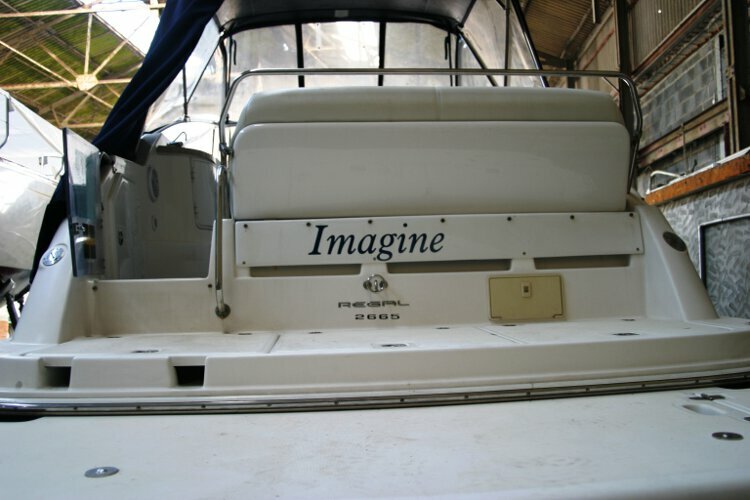 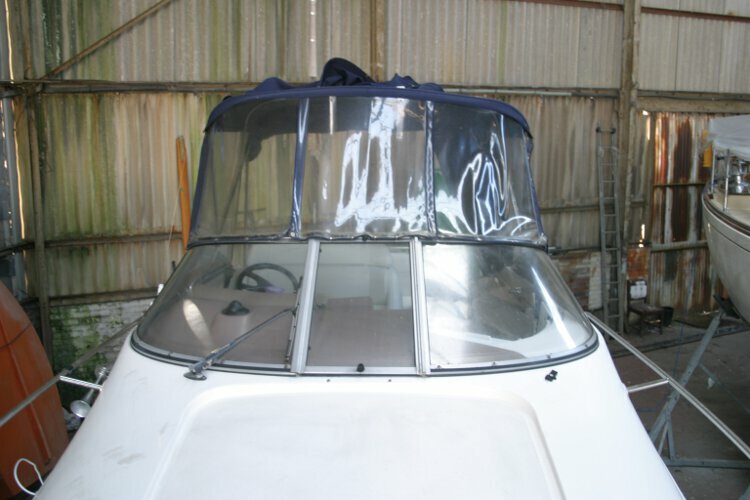 This boat is no longer for sale and remains here solely as an information resource for those researching Regal Commodore 2665's.